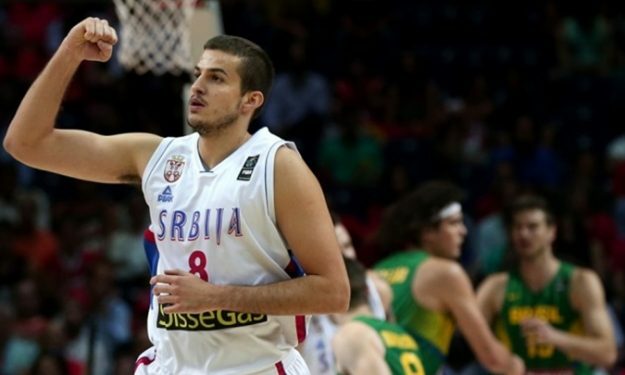 The Serbian national team will have to cope without Nemanja Bjelica in the Olympic Games of Rio. The Minessota Timberwolves forward undergone some detailed recent examinations that showed that he hasn’t fully recovered from his injury and he needs at least three more weeks of rehabilitation and work. The Serbian national team will have to cope without Nemanja Bjelica in the Olympic Games of Rio. The Minessota Timberwolves forward undergone some detailed recent examinations which showed that he needs at least three more weeks of rehabilitation and work in order to recover from his right foot injury. “I am very attached to the national team and I’m so sorry that I will not be in the team of the Olympic Games in Rio”, stated Bjelica. “For seven years I spent every summer with the national team and it’s now difficult to accept that I won’t be able to help them in such a large even like the Olympic Games. I talked with coach Djordjevic and we agreed that such a big competition requires players that are physically ready. Something which I’m not at the moment. I will be with my teammates in Rio with all my heart and I believe that they can bring a good result there”.